JNTUH B.Tech 1st Year 1-1, 1-2 Sem (R18) New Syllabus For All Branches is now available. JNTUH latest 1st year syllabus for 2018 admitted batches. 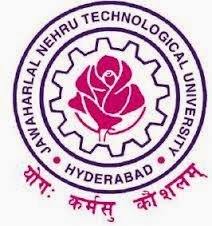 JNTUH released new syllabus for B.Tech. The Jawaharlal Nehru Technological University (JNTUH) has released a new syllabus for first year engineering students for the academic year 2018-2019. The new syllabus of B.Tech has been prescribed by the AICTE Model Curriculum 2018. The course aims at making students to understand the basic concepts of principles of physics in a broader sense with a view to lay foundation for the various engineering courses. In view of the growing importance of English as a tool for global communication and the consequent emphasis on training students to acquire language skills, the syllabus of English for first year B.Tech students has been designed to develop linguistic, communicative and critical thinking competencies of engineering students.THE NEW syllabus for first year engineering students has been prescribed by the AICTE Model Curriculum 2018.